The Williams family was an old Pennsylvania family. Members of the Williams family were living in Pennsylvania as early as the 1700’s. The family had a diverse background. On Daniel’s father’s side, there were African American, Scots-Irish, and German American members. On his mother’s side the family heritage was African American and Native American. Daniel’s grandfather was the first family member named Daniel Hale Williams. He was a barber during the week, and a preacher on Sundays. 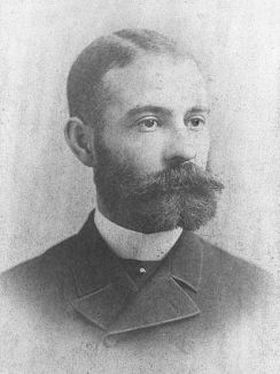 His son, Daniel Hale Williams II, was a barber and a businessman. The Daniel Hale Williams in this biography was really Daniel Hale Williams III. On Daniel’s mother’s side, his grandfather was named Henry Price. He was a well-known businessman and preacher. Mr. Price was good with money. He invested his money in land and stocks. He used the money he earned to buy slaves from their owners. He then set them free. One person whose freedom he bought was Ann Wilks. She was a cousin of Frederick Douglass, and lived as a slave on the same plantation that he did. After she was freed, Henry Price and Ann Wilks were married. They lived in a house in Annapolis. He died in February 1863. His wife Ann Price stayed on in the house. Daniel Hale Williams was born in Hollidaysburg, Pennsylvania, on January 18, 1858. His father was a barber who also owned some land rich in iron ore. His mother’s name was Sarah Price Williams. He had one brother and, eventually, five sisters. The whole family liked to tell stories and sing. Daniel’s father was a leader in the African American community. He was a founder and member of the Equal Rights League. He worked hard for equal rights for all people. Then Mr. Williams developed a bad cough. Soon he was too sick to work. He leased his barbershop and rented the family’s house. In 1865 he took his family to live with his wife’s mother. Mrs. Ann Price lived in Annapolis, Maryland. Daniel’s father felt that a good education would lead to a better life. He encouraged his children to learn all they could. Daniel and his brother and sisters went to the Stanton School in Annapolis. Daniel studied hard. His favorite subject was history. Mr. Williams spent a lot of his time traveling. He wanted to set up more branches of the Equal Rights League. He also wanted to encourage people to educate their children. He spoke to many groups of people. In the early part of 1867 Daniel’s father came home from a trip. He was very sick. He had “galloping consumption.” This was a fast-moving form of tuberculosis. Mr. Williams died in May of 1867. Daniel’s mother had never learned to handle business matters. She did not know how to take care of her family. Her children had to find their own way. Daniel’s older brother was named Price. He wanted to study law. He moved to New York, and lived with some cousins there. Daniel had five sisters. Two of them, Sally and Ann, decided to go to Illinois to live with their father’s cousins. They could learn hairdressing there. Two others, Ida and Alice, could stay at boarding school. Daniel’s mother wanted to learn a trade. She decided to go to Illinois with Sally and Ann. This left no place for Daniel or his little sister Florence. Florence was allowed to live with Grandmother Price. His mother needed a place to send Daniel. The family had a friend named Mr. Mason. He had a school called “Mr. Mason’s Training School for Boys.” He taught boys how to be shoemakers. Mrs. Williams decided to send Daniel to live with Mr. Mason. Daniel liked Mr. Mason, but he hated making shoes. He hated the smell of the hides. He hated sitting at a bench all day, sewing shoes together. He was very unhappy. Daniel knew a man who was a railway agent. He asked him for a train ticket. He said he wanted to visit his mother in Illinois. The friend gave Daniel a ticket. Daniel took the train to Illinois. When Daniel arrived in Rockford, Illinois, he looked for his mother. He found her living at a cousin’s house. The cousin let Daniel stay, too. He found a school in town that was open a few months each year. Daniel went to school when it was open. The rest of the time he worked as a barber’s apprentice. He was much happier. Daniel’s mother was restless. She wanted to see her other daughters. She decided to move back to the East coast. Ann decided to go with her. Sally and Daniel chose to stay in Illinois. Daniel boarded with different cousins from the Williams family. He took several jobs. One summer he worked on a lake steamer. He saved his money and bought a guitar. Each day, when he had finished his work on the boat, he sang for the passengers. When Daniel was 16, Sally decided to move to Edgerton, Wisconsin. Daniel went, too. Sally worked making hairpieces. Dan opened a barbershop. There was only one thing missing. There was no school. Daniel went looking for a town where he could work and go to high school. He found the right combination in Janesville, Wisconsin. The town had a high school. There was also a shop there called “Harry Anderson’s Tonsorial Parlor and Bathing Rooms.” Charles Henry Anderson, an African American, owned the shop. The shop was very big. It had six barber chairs, and a separate room where travelers could take a bath. Harry Anderson needed an assistant. He hired both Daniel and Sally. Daniel would be his chief assistant. Sally would make hair switches, curls, and hair jewelry. Daniel and Sally fit in easily with the Anderson family. Harry’s wife was named Ellen. She was an Irish immigrant. They had four children: George, Traviata, Tessie, and Alfred. The whole family loved to sing and make music. Daniel had a busy schedule. During the day he went to Jefferson High School. After school he worked as a barber. Harry Anderson also had a band. Twenty people played in it. Harry and Traviata taught Daniel to play the double bass. Soon he joined the band. They played for concerts and dances. Sally met a man she loved. She married him. The couple moved to Portage, Wisconsin. Daniel decided to stay where he was. When Ellen Anderson had another baby, he was named after Daniel. Daniel was his godfather. Daniel had a customer named Orrin Guernsey. He owned many books. He invited Daniel to read as many as he wanted. He talked with Daniel about the ideas in the books. Mr. Guernsey thought Daniel should go to college. He arranged to have Daniel go to the Janesville Classical Academy to study for the college entrance exams. The teacher was named Professor John Haire. Professor Haire expected his students to work hard. He insisted that they learn both German and Latin. One of the parents of another student complained about Daniel. He said that Daniel did not belong in the school because he was part African American. Professor Haire had an answer for that. He gave the man his money back. He would not teach the man’s daughter. He would teach Daniel. Daniel also joined the Mutual Improvement Club. Here young people could talk about science, literature, and current events. Sometimes lecturers came to speak. After each meeting there was a social hour, with dancing. Daniel, Harry, and George played for the dancing. Daniel graduated from the Classical Academy in spring of 1877. Harry Anderson urged him to keep on learning. Daniel heard from his brother Price. Price had become a lawyer. He had a law practice in Philadelphia. He invited Daniel to come and stay with him. He could study the law. Daniel did not want to leave Janesville. He decided to study the law where he was. He went to study with a lawyer in the town. He soon learned that much of law was settling arguments. Dan did not enjoy this kind of work. He went back to working in the barbershop and playing in the band. Daniel thought that he might like to study medicine. In the spring of 1878 he went to see Dr. Henry Palmer. Dr. Palmer was one of the best doctors in the state. He had been a surgeon on General Grant’s staff during the Civil War. Dr. Palmer agreed to take Daniel as an apprentice. Daniel started out cleaning the office and doing the accounts. He drove Dr. Palmer in his buggy when he visited patients. Sometimes a patient had a broken bone, or needed to have a limb amputated. There was no anesthesia. Daniel would hold the patient down while the doctor worked. When Daniel was not helping the doctor, he read medical books. The Latin and German that he had learned helped him understand what he was reading. Soon Daniel started mixing medicines and doing some medical tests. Two more apprentices came to Dr. Palmer. Their names were Frank Pember and James Mills. The three young men worked together. Dr. Palmer said that all three of them would be ready to go to medical school in the fall of 1880. The other two men applied to Chicago Medical College. This was an excellent school. Daniel decided to go there too. He had only one problem. He did not have the money to pay for college. Daniel wrote two letters. The first one was to his mother. She had inherited some money from her mother. Daniel asked her to lend him money for school. The second letter was to Mrs. John Jones. Mrs. Jones was a rich widow who lived in Chicago. Her husband had been a friend of Daniels’ father. Daniel asked if he could board in her house. Daniel’s mother answered his letter. She told him that she could not help him. Daniel went to his friend Harry Anderson. Harry offered to take out a loan from the bank. The money would pay for Daniel’s education. Daniel thanked him. Daniel took the train to Chicago. He visited Mrs. Jones. She agreed to let him live with her family. Daniel and his friends started medical school. It was very hard work. Daniel did nothing but go to school and study. He had no extra money to have fun. In the spring of 1891 there was a smallpox epidemic. Daniel became very sick. He did not have smallpox. He had varioloid, another illness that looked like smallpox. Daniel got better, but he was very weak. When he took his examinations, his hands shook. Daniel went back to Harry Anderson’s for the summer. He cut hair, played in the band, and got his strength back. During his second year Daniel did very well. That second summer he volunteered at Mercy Hospital. This gave him good medical experience. He paid for his room and board by taking care of Mrs. Jones’s horses and buggy. Daniel had to depend on Harry Anderson for his first two years to pay for his schooling. In his third year, his brother Price sent him money. At the end of his third year, Daniel passed all of his examinations. He graduated from Chicago Medical College in March of 1883. He was 27 years old. Daniel opened an office on Michigan Avenue in Chicago. Mrs. Jones sent her friends to him. People from the neighborhood came to see him. He had both black and white patients. Like many young doctors, Daniel was not attached to any hospital. He had to operate on his patients in their houses. Daniel had learned in college about Dr. Lister. This man had found that bacteria caused infection. Daniel knew that he needed to have antiseptic conditions when he worked on a patient. Before he operated in any home, he scrubbed the room to keep away infection. Because he was careful, his patients recovered well. Daniel was kind and listened to his patients. They started calling him “Dr. Dan.” Daniel had office hours in the morning, afternoon, and evening. In between he visited patients in their homes. He worked hard. He began to pay Harry Anderson back for his education. The South Side Dispensary was a clinic that was part of the Chicago Medical College. In 1884 Daniel was given a job there as a demonstrating doctor. He demonstrated surgery to medical students. He also taught them anatomy. One of his students was Charles H. Mayo, who later opened the famous Mayo clinic. Daniel was also appointed assistant physician at the Protestant Orphan Asylum. He did not get any pay for this job. It did give him experience, and importance in the community. It also gave him the chance to work with children, whom he loved. In 1889 Daniel was given a third special appointment. The governor of Illinois placed him on the Illinois State Board of Health. Daniel was the first African American to serve on this board. Daniel took his work on the board very seriously. There were still epidemics of smallpox, scarlet fever, and typhoid. Dan knew that if people were vaccinated, they would not become sick. He urged the board to make rules that everyone should be vaccinated. He worked for cleaner living conditions. He wanted better plumbing in homes. He also pushed for better methods to get rid of sewage. Daniel visited the Anderson family whenever he could. The family went through some hard times. Tessie had always been weak. She died at the age of 17. A few months later, Harry’s wife Ellen died. Daniel wanted to help his adopted family. He suggested that they move to Chicago. They followed his advice. Traviata was very musical. Daniel arranged to have her study with Clarence Eddy, a great musician. George started dental school. Daniel was delighted to help the people who had loved and helped him. African Americans were coming to the major northern cities in record numbers. They found that they did not have the chance for good health care. African American doctors, including Daniel, were not allowed to operate in area hospitals. African American men and women could not get training as doctors and nurses. Daniel and Rev. Louis Reynolds, a local African American pastor, talked together about starting a hospital where all races would be welcome. Daniel decided to make this his mission. He went to churches all over Chicago and talked with people. He asked for donations from everyone. He decided to call the hospital Provident Hospital. Daniel founded the Provident Hospital Association. Anyone who gave money to the hospital became a member. Some very rich people, like Marshall Field, Philip Armour, and George Pullman, gave large sums of money. Sunday School children gave their pennies. Everyone felt a part of the effort. There were chicken suppers and dances. All of the money went toward the new hospital. The committee bought an old building that would hold 12 beds. Volunteers cleaned and painted the building. Daniel invited the very best African-American doctors to be on the staff. A group of seven African American women started training as nurses. Patients of all races came to the hospital. The country was in a depression. Many patients could not pay for their treatment. Local people gave food, bedding, and their services to help the hospital. In 1893 the World’s Fair was held in Chicago. Frederick Douglass was one of the speakers at the fair. He visited a large church and took a collection. He brought the money to his cousin, Daniel. The summer of 1893 was very hot. On July 9 two men got into a fight at a bar. One man, James Cornish, was stabbed in the chest. His friends took him to Provident Hospital. Daniel examined the man. There was damage in the heart area. There were no x-rays to help Daniel see the wound. In those days a heart wound meant death. No doctor dared to open up a human chest. Daniel knew that if he didn’t operate, James Cornish would die. He also knew that if he operated and failed, he would be ruined as a doctor. Daniel decided to try to save James Cornish’s life. He invited six doctors to watch the operation. With the patient under anesthetic, Daniel cut open his chest. He found a serious wound. There was a tear in the pericardium. This is the sac that surrounds the heart. Daniel sewed up the hole in the pericardium. Then he closed the chest and sewed it shut. James Cornish did not die. After three weeks Daniel operated again to remove some fluid from the chest. There was no infection. The wound healed. After 51 days James Cornish walked out of the hospital. Daniel had made history. Doctors all over the world learned about his work. In Washington D.C. there was a hospital that served African Americans. It had been set up after the Civil War. It had not been managed well. Grover Cleveland became President of the United States. He asked for a new director for the hospital. He wanted someone to turn it into a good hospital. Daniel was invited to apply for the job. He did not want it. He thought that he should stay at Provident. He was persuaded to apply. He was hired. Just before he was to leave for Washington, Daniel went hunting with some friends. He was shot in the foot. His foot became infected. Doctors said it should be amputated. Daniel refused. He asked his friend, Doctor Christian Fenger, to operate. It took six months, but his wound healed. Daniel did not lose his foot. Daniel finally arrived in Washington in September 1894. He found that Freedman’s Hospital was grim. The patients stayed in five wooden buildings. These had been built 30 years before. The buildings were supposed to be temporary. Thirty years later, they were still there. The operating room and dining hall were in another building. Patients had to travel between buildings for surgery and food. There were no nurses. Patients took their own medicine. When they felt a little better, they helped clean up. Many people did not recover. Daniel reorganized the hospital in one month. He set up departments. He had the wards scrubbed and clean, and had flowers planted outside to make things look pretty. He hired a horse-drawn ambulance. Daniel was the chief surgeon. He employed both black and white people. He invited good doctors to come and work as consultants. Under his leadership, fewer people died in the hospital. During his first year, there were 500 operations. Only 8 patients died. This was a very good record. Even though Freedman’s Hospital was now clean and well managed, people in Washington still thought of it as a hospital for poor people. Daniel set up open house surgeries every Sunday afternoon. People were pleasantly surprised by the quality of care and the cleanliness of the hospital. A woman came to Freedman’s Hospital to have her baby. She had difficulties. Daniel delivered the baby by Caesarian Section. This was a new method in the United States. People were amazed at Daniel’s skill. Daniel liked Washington D.C. He bought a house. His mother and two youngest sisters came to live with him. His sister Florence studied to be a teacher. Daniel paid her tuition. His sister Alice was a seamstress. Daniel often saw his cousin Frederick Douglass. Frederick encouraged Daniel in his work. Daniel was not allowed to join the medical group in Washington. Only white doctors could be members. Daniel started a new group. He called it the Medico-Chirurgical Society of the District of Columbia. It was a sort of support group for doctors. Doctors of any race were welcome. Daniel also helped in founding the National Medical Association. This was the first country-wide group that admitted African Americans. Daniel served as the vice president. He refused to be the president. The year 1895 was a sad year for Daniel. Several people who were dear to him died that year, including Frederick Douglass, Traviata Anderson, and his brother Price. But not all of Daniel’s life was sad. He had a patient named Mrs. Johnson. She had cancer. While Daniel was treating her, he met her daughter. She was petite and pretty. Her name was Alice Darling Johnson. Daniel spent a lot of his free time with the Johnsons. In 1897 a new President came to office. His name was William McKinley. President McKinley wanted to be sure that charities were run honestly. He set up a committee to investigate many institutions. One that was investigated was Freedman’s Hospital. Daniel was asked to testify before the committee. He spent many hours explaining how the hospital was run. The committee was impressed. They felt that he had done a good job. But Daniel was discouraged. It bothered him that changes in government could mean changes in funding and policy. Daniel decided that he had had enough of Washington. He resigned from Freedman’s Hospital. He had done what he came to do. He wanted to go back to Chicago. Daniel asked Alice Johnson to marry him. They agreed on a quiet ceremony. Alice and Daniel were married at her house on April 2, 1898. When Daniel and Alice arrived in Chicago, there was a big party held for them. Daniel returned to his work at Provident Hospital the next day. He hoped that his life at Freedman’s was behind him. Unfortunately, some government agencies in Washington got into an argument. They all wanted to control Freedman’s Hospital. Some people said bad things about Daniel. They said he had spent too much money on medical instruments. Daniel had to go back to Washington to clear his name. He explained that sometimes equipment got broken. Replacements had to be bought. He talked about the need for the best surgical instruments to do a good job. He also showed receipts to prove that he had paid for many of these instruments himself. When Daniel went back to Chicago, he was sad. It hurt him that some of his old friends had spoken against him. He did not trust many people after this. Daniel and Alice expected a baby, but the child died at birth. Alice was very sick. Daniel grieved. Daniel was concerned for the health of African Americans. He knew that more African American doctors were needed. Daniel visited Meharry Medical College in Nashville, Tennessee. He saw that it was a good school. But Nashville would not allow African American doctors in the hospitals. In January 1900 Daniel suggested that the college start their own hospital. They started a small, 12-bed hospital. Daniel came back each year and held a clinic. It was called the Williams Clinic. Doctors, both black and white, were invited to see Daniel use new surgical techniques. Daniel took no pay for his work. Before long, Daniel was asked to help other cities do the same thing. He helped start hospitals in Dallas, Atlanta, Knoxville, Memphis, Louisville, Birmingham, Kansas City, and St. Louis. Daniel had certain rules. He would only lecture when African American doctors were allowed to attend. He would only operate in hospitals that took black patients. Daniel continued to save lives. He did not like to amputate limbs. He remembered his own slow healing after his shooting accident. In 1904 a 6-year-old Jewish boy was brought to him. His leg was mangled and infected. Daniel worked patiently with the boy. He was able to save his leg. In 1908 Daniel celebrated 25 years in medicine. One person did not like Daniel. His name was Dr. George Hall. Daniel had once said that he did not think George Hall was a very good doctor. He had not wanted Dr. Hall to work at Provident. George Hall remembered this. While Daniel was in Washington, Dr. Hall took some key jobs at Provident. When Daniel returned, Dr. Hall made it unpleasant for him. Daniel was invited to be an attending physician at St. Luke’s Hospital in Chicago. This was a very large, rich hospital. Daniel was the first African American ever to be invited to work there. This was a big step forward for the rights of black people. But Dr. Hall made a fuss. He said that Daniel was selling out his race. He demanded that Daniel resign from Provident Hospital. People took sides with or against Daniel. His old friend Harry Anderson stood with him. His godson Daniel Anderson was against him. Daniel was very hurt by this treatment. He resigned from Provident, the hospital that he had started. Daniel was given several honors. In 1913 the American College of Surgeons was formed. This was an association of the best surgeons in the United States and Canada. Daniel was the only African American chosen to be a member.. He also received honorary degrees from Wilberforce University and Howard University. Daniel and some other African American businessmen decided to build country homes. They bought some land by a lake in the woods. They named the area Idlewild. They built houses, a clubhouse, and a hotel. Daniel and Alice lived in a house called Oakmere. Daniel had a garden there. He had a speedboat, and another boat with a flat bottom. He used this one for fishing. At Idlewild there were special events. There were lectures and concerts. It was a happy place. Daniel continued his work at St. Luke’s. Because of him, African Americans were admitted for treatment. They could stay in the wards or in private rooms. Daniel helped several African American medical students. He gave them money, advice, and help with their studies. St. Luke’s Hospital wanted to name a ward after Daniel. He would not let them. He was afraid that it would become a ward for only black people. Daniel had diabetes. Daniel’s wife Alice had Parkinson’s disease. She had to get around in a wheelchair. Alice died in 1924. Harry Anderson died the next year, in 1925. Daniel had a stroke. His brother Price’s daughter, Ada Blanche Zaratt, came and took care of him. Daniel knew that his life was almost over. He sent his collection of medical books to Mercy Hospital, in Philadelphia. Daniel died at Oakmere on Tuesday, August 4, 1931. Reading Level 5.5. Photograph of Dr. Williams reproduced courtesy of the Chicago Historical Society.